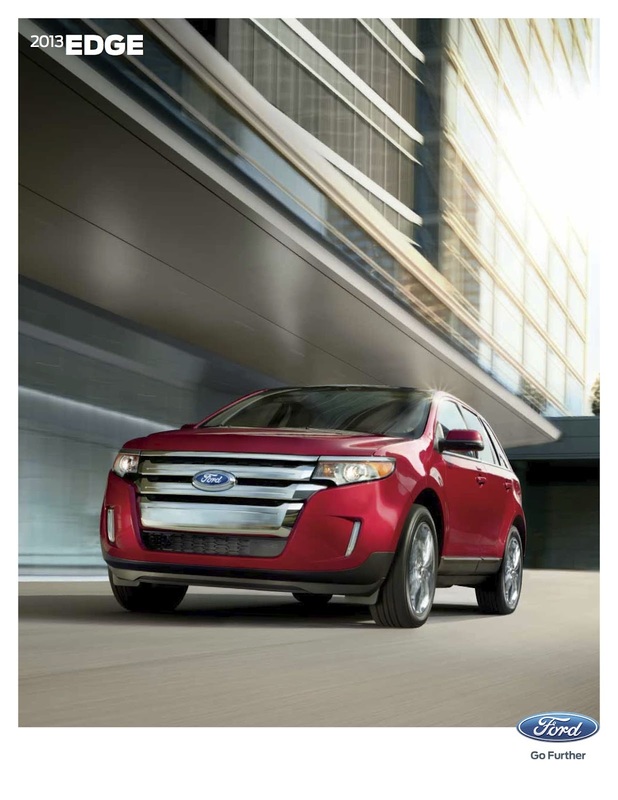 The Ford Edge is a five-passenger crossover sport utility that answers the call for a roomy vehicle with utility and style. It isn't a truck. Nor is it a minivan. Yet it's more than a car. The front-, or all-wheel drive Edge is powered by a 285-hp 3.5-liter V6 engine, while the Edge Sport adds a 305-hp 3.7-liter Ti-VCT V6; both engines use a six-speed automatic transmission, the Sport adds steering wheel shift paddles. Available on the front-wheel drive SE, SEL and Limited trims is a 237-hp 2.0-liter EcoBoost engine which boasts enhanced fuel economy. Standard safety features on all models include six airbags, four wheel anti-lock brakes, AdvanceTrac with Roll Stability Control, auto-locking power locks, an occupant classification system and a tire-pressure monitoring system. Optional safety equipment includes adaptive cruise control, collision warning, blind spot detection, rear-view camera and rain sensing wipers. MyFord driver connect technology manages all the information the driver needs, with minimal distraction to actually driving. For 2013, the SE is now available in all-wheel drive, and four new paint colors have been added. If you have any questions about the new 2013 Ford Edge, please contact us right away. We would be more than happy to assist you. Brighton Ford is located at 8240 Grand River Ave. just north of I-96 in Brighton. We are a family owned and operated business that strives on customer satisfaction. Brighton Ford proudly serves the Brighton Ford dealership needs, Howell Ford dealership needs, Fowlerville Ford dealership needs, South Lyon Ford dealership needs, Whitmore Lake Ford dealership needs and Ann Arbor Ford dealership needs. For more information on Brighton Ford visit BrightonFord.comor give us a call at (800)-836-8206.